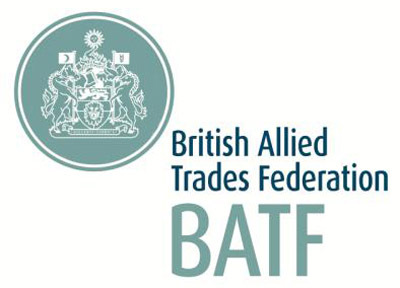 The British Allied Trades Federation has awarded the Ellen MacArthur Cancer Trust a £19,500 grant. The Goldsmiths’ Company, the London Livery Company supporting the trade and craft of goldsmiths, silversmiths. Hockley Mint has launched a new and expanded line of diamond tennis bracelets in response. Following hot on the heels of the recently launched Shaped Wedding Bands, Domino continues to. Domino have revitalised and relaunched their current multi-stone rings collection, increasing the number of settings. The Women’s Jewellery Network, the UK’s only dedicated organisation supporting women working in the UK. The Council has decided in principle that hallmarks struck overseas by UK Assay Offices should. Celebrating outstanding British and international creativity, this year’s London Craft Week brings together a host. WB The Creative Jewellery Group has once again been nominated in the Ethical Jewellery Business. Two events hosted by the Women’s Jewellery Network (WJN) to mark International Women’s Day have. Domino Jewellery has once again been nominated for a UK Jewellery Award in the Supplier. Not only does 2018 celebrate the Chinese Year of the Dog, it also sees the. Domino’s recently-launched Shaped Wedding Bands collection is proving popular with retailers, with high praise and. AnchorCert Academy to Host 2nd Event The Women’s Jewellery Network, the UK’s only dedicated organisation. Weston Beamor has announced the names of the three students from Birmingham City University who. Patrick and Vivian Fuller co-owners of WB The Creative Jewellery Group have announced that, after. Hockley Mint will showcase jewellery from its Charms Direct business for the first time at. Elegant and sophisticated, Deakin & Francis have started the year in style with the launch. The 7th December saw the 82nd British Allied Trades Federation’s Benevolent Society Ball take place. To reinforce the company’s recent award of ‘Ethical Jewellery Business of the Year’, each member. Mysterious, bold and dazzling – these deep, dark skull cufflinks are not for the faint. Mid-January 2018 will see the precious and fine jewellery manufacturer Domino launch the latest additions. ‘Personalisation’ and ‘Provenance’ are key themes which will be at the heart of Domino’s fine. Domino jewellery has reported strong sales for right-hand rings incorporating fashionable coloured stones and creative. Retailers seeking ideal Christmas stock need look no further than the recently launched ‘Timeless’ range. Domino jewellery has recently dispatched £500,000 worth of British-made gold and platinum, semi-set jewellery and. Domino’s new fine jewellery collection comprising diamond and gemstone-set designs in 18ct gold, provided strong. In 2016 the Benevolent Society, charity of the British Allied Trades Federation (BATF), changed its. Birmingham-based jewellery manufacturer Hockley Mint has revealed the finalists in its 25th anniversary design competition,. Deakin & Francis are renowned for their diverse range and eclectic mix of cufflinks and.